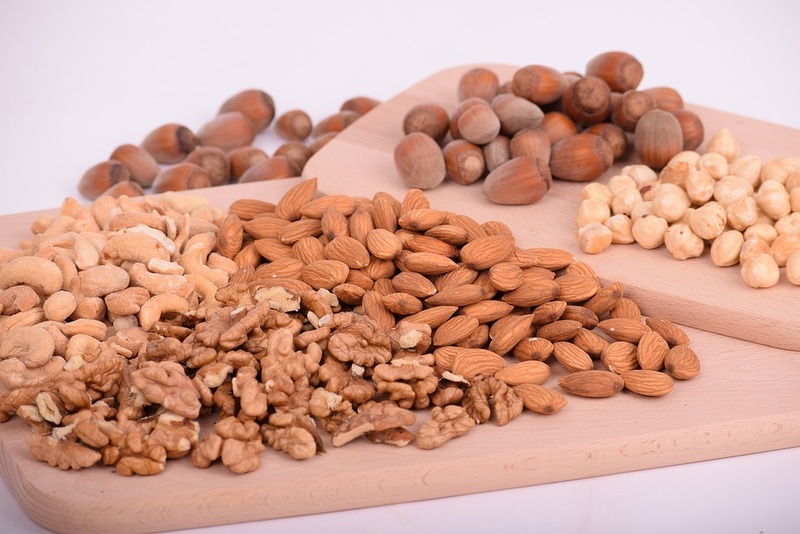 The United States Department of Agriculture recently issued a production and trade report for China's tree nut industry for the marketing year of 2018/19, which Produce Report analyzed and pulled out key highlights and takeaways. China’s in-shell walnut production is forecast to total 850,000 metric tons for marketing year (MY) 2018/19 (September-August), a decrease of 15% from the previous year. Yunnan, China's leading walnut-producing province, is recovering from frost damage suffered during MY 2017/18. The size of the walnut crop in the major walnut-producing provinces of Shanxi, Shaanxi, Henan, Hebei, and Gansu is likely to shrink by between 30% to 80% from the previous year due to a heavy snowstorm which hit the north part of the country in early April. However, this has not had a negative effect on the size and quality of the walnuts. Xinjiang Uygur Autonomous Region (Xinjiang), the second largest walnut producer in China, is expected to see its walnut production remain almost unchanged from a year ago. Walnut acreage in China for MY 2018/19 is estimated at 300,000 hectares. Although walnut planting is spread across more than 20 provinces, over 50% of walnuts are grown on hills and mountains, which results in a low average yield of 2.3 tons per hectare. As the largest walnut producer in the world, China's walnut production is expected to see moderate increases in the foreseeable future as the total crop area continues to expand. Even though numerous walnut varieties exist in China, very few can compete with popular varieties such as Chandler, Serr, and Hartley. 43,000 tons (shelled basis) of almonds are expected to be harvested for the 2018/19 MY (August-July), unchanged from the previous year. The crop has a total planting area of roughly 63,000 hectares, with more than 95% of this located in Shache County, Xinjiang. Most almond orchards in China suffer from mismanagement and insufficient investment, resulting in low yields and inconsistent quality. Nearly all Xinjiang-grown almonds are consumed domestically, with only very limited quantities going to neighboring Central Asian countries. Most pistachio plantings in China are experimental, as many private companies have been exploring suitable varieties and farming techniques for commercial production in Xinjiang. For MY 2018/19 (September-August), China’s pistachio production is estimated at 300 tons with a total planting acreage of only around 4,000 hectares. Macadamia nut production (in-shell basis) in MY 2018/19 is very likely to double from the previous year to nearly 20,000 tons. The planting area of macadamia nuts is currently estimated at 160,000 hectares, mainly centered in Yunnan and Guangxi provinces. Although both overall acreage and production volumes have grown in recent years, macadamia nuts face the same problems as almonds in China: low yields and inconsistent quality. According to the International Nuts & Dried Fruit Council (INC), China is expected to become the world’s leading macadamia nut producer by 2022, with an estimated production volume of 190,000 tons, which will account for about half of global production. China’s hazelnut production (in-shell basis) is forecast at 28,000 tons for the 2018/19 MY (September-August), declining over 30% from the previous year. Local varieties account for roughly 65% of total production, with the rest comprised of hybrid varieties. Crop acreage is estimated at 190,000 hectares and is expected to further increase. Major hazelnut-producing regions in China include the provinces of Heilongjiang, Liaoning, Jilin, Shandong, Xinjiang, and Inner Mongolia. Although China is reported to have planted nearly 46,000 hectares of pecans, mainly in Anhui, Yunnan, and Jiangsu provinces, production volumes are estimated to be extremely low, totaling only 150 tons in MY 2018/19 (September-August) due to poor farming management. According to an INC report, China is among the world's leading consumers of tree nuts, consuming 45% of walnuts, 21% of pine nuts, and 8% of macadamia nuts produced around the world. 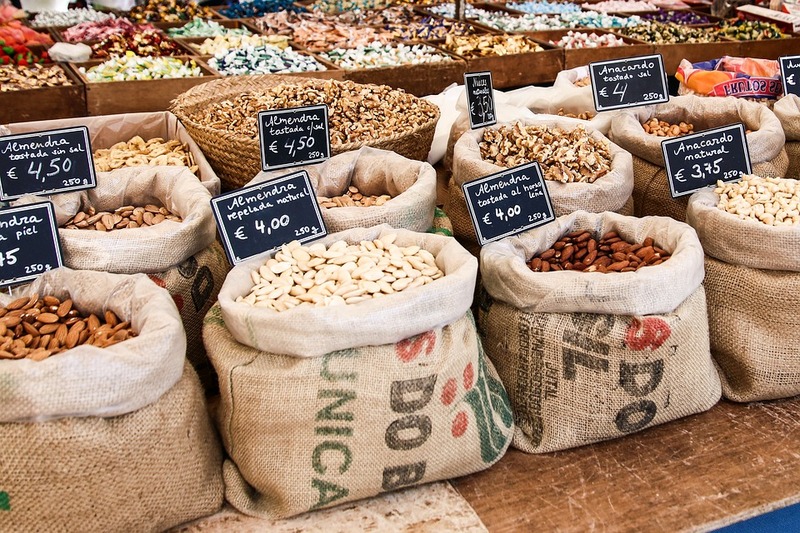 The majority of nuts in the Chinese market are imported, with the exception of walnuts. It is believed that the consumption of nuts in China will continue to increase in the long run. However, in the short term, the price of certain nuts in China will inevitably be influenced by the additional tariffs imposed on nuts from the United States, which remains China's largest supplier of imported nuts. Even though Chinese importers may look to source nuts from other countries, the market share once enjoyed by the United States is difficult to fill by exports from other countries as they lack the quantity and volume of exports needed to satisfy the demand for imported nuts in China. For this reason, China’s imports of pistachios, almonds, and walnuts are expected to decline in MY 2018/19. China's reduced walnut production is very likely to drive down its exports of walnuts in MY 2018/19. Exports rose dramatically in MY 2017/18 because of rebounding domestic production and availability of walnuts. China exports primarily shelled walnuts to Europe, Japan, and Kyrgyzstan, with Pakistan and Kyrgyzstan the major overseas markets for its in-shell walnuts. In addition to walnuts, China also imports in-shell macadamia nuts for processing and re-exports macadamia kernels, mainly to Australia – macadamia volumes remain stable.